As much as punk gets credit for being one of rock's first back-to-basics cycles, rock's first roots revival actually started way earlier, kicked off in the late 60s by the country-rock movement which included the likes of Bob Dylan, Creedence Clearwater Revival, The Byrds, and The Band, and which then evolved into a near decade-long phase where artists like J. Geils and Bruce Springsteen in the Northeast, supercharged southern-fried rockers like Lynyrd Skynyrd, English pub rockers like Dave Edmunds and Graham Parker, and blues rockers everywhere rekindled a love for the gritty, straightforward, brass-heavy rock, blues and boogie-woogie sounds of the 50s and pre-psychedelic 60s. And while, just like disco, bar band music was about to drop in popularity as punk and new wave surged to the fore and the antiseptic production slickness brought on by the initial MTV/CD era wiped the music's rougher edges away, in 1977 it was still enjoying its mid-70s mainstream peak. This mix, then, celebrates those 1977 artists who were delivering some of the best no-nonsense, tradition-based rock of the day. 1. 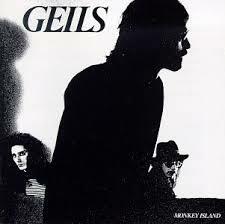 I Do - The J. Geils Band: One of the American East Coast's preeminent down-and-dirty bar bands over the first half of the seventies, the Massachusetts sextet had seen both their popularity and financial fortunes in serious decline in the two years leading up to 1977. So they decide to start mixing things up. The result was Monkey Island, an almost schizophrenically eclectic collection of songs. And while neither the band's best or most popular record, it does mark a clear transition point as the band began its shift away from the rough-hewn sound of their early days towards the mainstream pop sound that would define their early 80s commercial heyday, a shift that would ultimately compel lead singer Peter Wolf to leave the band. 2. 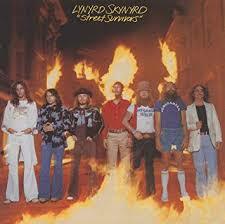 What's Your Name - Lynyrd Skynyrd: Street Survivors. This is the one. The album that, released just three days prior, will forever be linked to the fateful plane crash that took the lives of lead singer Ronnie Van Zant and Steve and Cassie Gaines. And sadly, often lost in the recollections on the tragedy, is just what a triumphant return to form Street Survivors was for the band after several years of lesser releases. Powered by the recent addition of Cassie's younger brother Steve Gaines, Survivor is the punchiest, tightest album in the band's catalog, every bit the equal of their genre-defining first two releases (Pronounced Leh-nerd Skin-nerd) and Second Helping. What's Your Name, the album's lead single, was its biggest hit, peaking at number 13 on the Billboard charts. 3. Catmelody - Pete Townshend & Ronnie Lane: Tough time picking which Rough Mix tracks to go with on this mix, except for this track here, which has the strongest roadhouse feel of any song on the record. 4. Cocaine - Eric Clapton: Following the relative commercial and artistic failure of his all-over-the-place, guest-star-laden 1976 release No Reason To Cry, Clapton decided he wanted his next effort to have a greater sense of musical consistency. So he returned to the studio with just his regular touring band and, for the first time, the disciplined production hand of frequent Rolling Stones collaborator Glyn Johns. The result was Slowhand, one of the best, most relaxed, and -- despite trafficking in an eclectic scope of genres almost as wide ranging as J. Geils' Monkey Island -- most sonically unified releases of his solo career. This song, the J. J. Cale cover that gets things started on Slowhand, received a lot of airplay in the states, but was banned in Argentina for its drug-centered lyrics. 5. 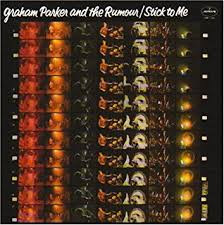 Stick To Me - Graham Parker & The Rumour: When first conceived, Graham Parker envisioned his third album Stick To Me as a maximal, orchestral affair. 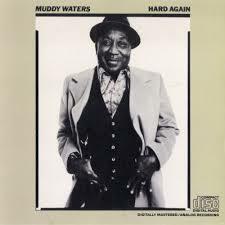 The songs were recorded with a crazy number of session musicians, in one case up to eighty string players. And then, when it came time to mix it all together, Parker and his producers came to the horrifying realization that they had been working with a defective lot of reel-to-reel tapes. Everything was lost. With just days left before Parker had to head back out on tour, they did the only thing they could in such short time, reworking all the arrangements and rerecording everything in altered, stripped-down Pub Rock form, and that is the version of the album that exists today. Not surprisingly, it was frequently criticized for its rough, lo-fi sound upon first release, but as the years have passed and various rock movements have worked their way through intentional lo-fidelity phases of their own, the mix doesn't sound that out of sorts today, freeing us to just appreciate the power and quality of the songs, as is the case with the title track here. 6. Mixed Up, Shook Up Girl - Mink DeVille: Though one of the original main-draw CBGB house bands along with the Ramones, Blondie, Patti Smith and The Talking Heads, and though they were fully accepted by the emerging punk fanbase (lead singer Willy DeVille had an edgy, macho, confrontational presence that played well with the crowds), Mink DeVille was never punk. They were a top notch, more intimidating set of versatile Springsteen-like traditionalists with a genuine knack for artfully blending the disparate sounds of New York's many ethnic neighborhoods into their songs. That talent will be on full display in the three songs we'll be featuring on this mix from their 1977 debut Cabretta, starting with this awesome barroom ballad here. 7. Crosseyed Cat - Muddy Waters: As I said earlier in the comments for Mannish Boy on Vol 1 - Best Of The Best, some of the tracks Johnny Winter put to tape for Hard Again were rerecordings of past Chess classics. But the album boasted a number of original compositions as well, and of those originals, Crosseyed Cat is far and away my favorite. 8. 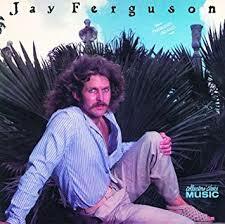 Thunder Island - Jay Ferguson: Because Jay Ferguson only produced two songs that charted during his solo career (this Joe Walsh-assisted track here and Shakedown Cruise), he is often unfairly lumped in with the decade's many one hit wonders, a categorization that completely ignores Ferguson's prominent role as lead vocalist and a principal songwriter for his two earlier bands, crazed late-60s psych-rockers Spirit and early-70s hard rockers Jo Jo Gun. 9. Rough Mix - Pete Townshend & Ronnie Lane: When Ronnie Lane first contacted Pete Townshend about working together, it was initially just to see if Townshend would consider producing Lane's next record. But the two struck up quite the rapport, and the project became a full blown collaboration, with one exception. Lane only had half an album's worth of material ready to go at the start, and was hoping the two could co-write the rest. Townshend, who'd never written with partners before, resisted, offering instead to bring in some of his own unrecorded tunes that weren't quite right for The Who. So in the end, though the two worked hand-in-hand on the production of every song on the record, the only number on Rough Mix where the two artists shared a writing credit is this searing instrumental title track here. 10. 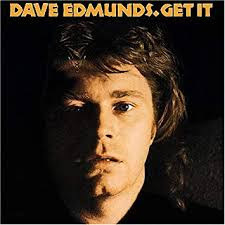 Ju Ju Man - Dave Edmunds: Though 1977's Nick Lowe-produced Get It was actually the fourth album of Edmund's already well-established career, it is now considered the first entry in Edmund's much lauded late 70s run of near classic albums that would also include 1978's Tracks On Wax 4 and 1979's Repeat When Necessary. Always a rock traditionalist, Edmund's talent was never his originality, but his ability to make everything he touched tons of fun, and this cover of Ju Ju Man from Get It is no exception. 11. That Smell - Lynyrd Skynyrd: Further strengthening the eerie link between Street Survivors and the plane crash was the presence of this famous song, which reads like a psychic premonition, but was actually written by Van Zant as warning to his bandmates (especially guitarist Gary Rossington, who had just wrapped his Gran Torino around an oak tree while driving drunk and on ludes) that it was time to start scaling back on their indulgent ways. 12. 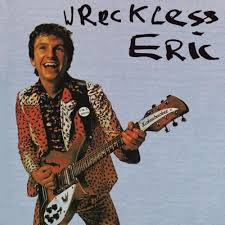 Whole Wide World - Wreckless Eric: The biggest song of first-wave-punker Wreckless Eric's career, this tune could have easily gone on one of our two punk-themed mixes, but its more relaxed pace felt more at home here. 13. Gunslinger - Mink DeVille: Here's the number from Cabretta that was most in-line stylistically with DeVille's fellow CBGB house bands, the New York Dolls/Johnny Thunder-ish Gunslinger. 14. 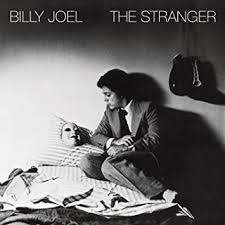 Only The Good Die Young - Billy Joel: We'll hear more from Billy Joel when we get into our AM nostalgia mixes, but this rowdy song (my all-time Billy Joel fav) from his 1977 monster-hit album The Stranger could only go on this mix here. 15. Lay Down Sally - Eric Clapton: For any artist born with a fervent blues obsession, it's a natural transition to drift into more country-oriented work as they mellow and age. Eric Clapton was no different, with country numbers popping up with increasing frequency in his catalog as his career matured. 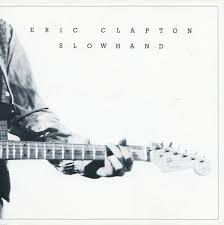 Slowhand's Lay Down Sally remains one of Clapton's best pure-country efforts, and was a huge hit for him in 1977. 16. 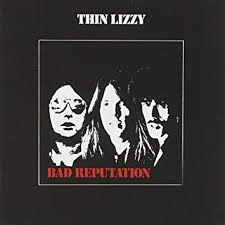 Dancing In The Moonlight - Thin Lizzy: While much of Thin Lizzy's eighth album Bad Reputation was made up of lean, mean hard rock, this song, the biggest hit from the record, is pure brass-driven bar band at its best. 17. 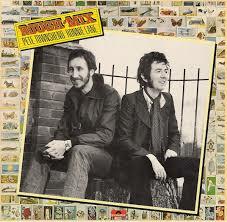 April Fool - Pete Townshend & Ronnie Lane: Here's one more of Rough Mix's strikingly rustic Ronnie Lane ballads, this one given an extra dash of backwoods mysticism via some evocative guest guitar work from Eric Clapton. 18. Somebody - The J. Geils Band: Another of Monkey Island's broad-ranging tunes, this song finds the band veering into near-metal territory. 19. 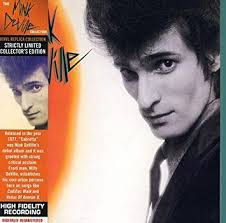 Spanish Stroll - Mink DeVille: The last track we'll be featuring from Mink DeVille's debut Cabretta, the Lou Reedish Spanish Stroll was the biggest hit of the band's career, and owes a good part of its popularity to bassist Ruben Siguenza's spoken-word cat calls over the bridge. 20. 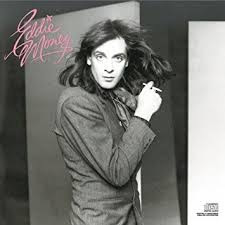 Two Tickets To Paradise - Eddie Money: As with Billy Joel, we'll be hearing more from Money when we get to our AM nostalgia mixes, but this track from the Irish New Yorker turned Bay Area rocker's eponymous debut, the most enduring song of his entire career, also felt like it belonged here. 21. I Know A Little - Lynyrd Skynyrd: Steve Gaines, the younger brother of back-up singer Cassie, had been added to the Skynyrd line-up just a year before when, faced with diminishing sales and critical reception, the band decided they needed to return to their original three-guitar attack. But though the rookie in the band, his presence is strongly felt throughout Street Survivors, sharing vocals on several tracks with Van Zant, and even penning two, including this rousing boogie-woogie number that closes the album's first side.